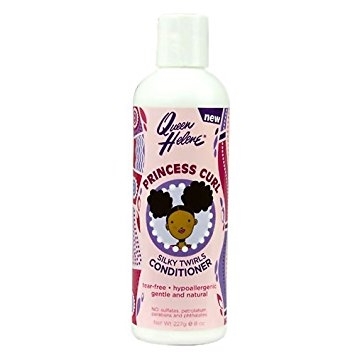 Detangle your little princess's tresses while locking in nourishing moisture with the Queen Bee's own secret ingredient: Royal Jelly. Royal Jelly is the sole sustenance of a Queen Bee in her hive. This nutrient-packed super food, with 17 amino acids, plus vitamins A, C, D, and K, is the reason Silky Twirls Conditioner delivers smoothing hydration and manageability to your little princess's delicate curls and twirls. With no scary chemicals, this natural, hypoallergenic conditioner detangles and eliminates dryness, while jojoba oil and green tea gently care for every precious strand. Plus, it's tear-free and smells delicious, so bath time will be a royal indulgence! Copyright © 2014 CURLKIT LLC. All Rights Reserved.